This nineteenth century Craftsman farmhouse is 1700 square feet and has been fully remodeled while retaining all of it’s past charm. Enjoy the history of this amazing property with appreciation to the hardwood flooring, original windows, and wainscoting of this historical home. The large open kitchen is ready for your getaway complete with well-appointed pantry items. 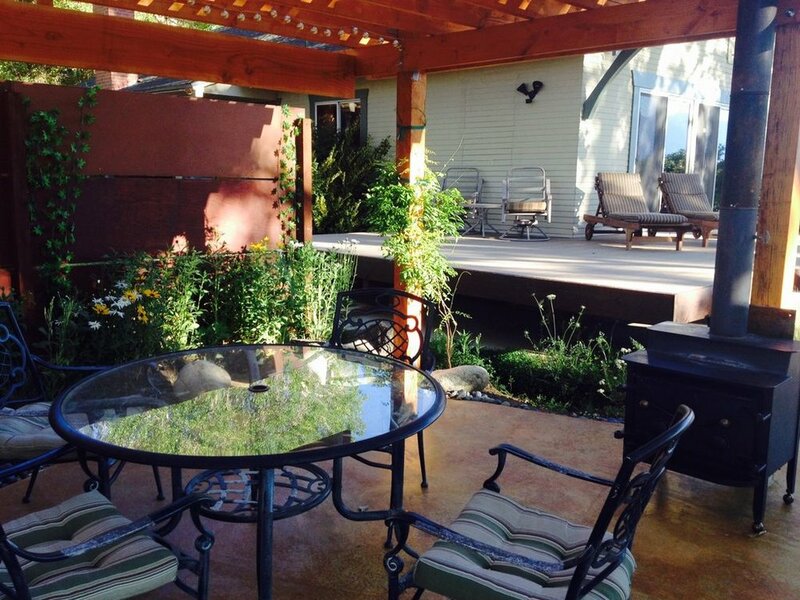 Outside you’ll be greeted with private deck, pergola covered eating area and a stream that runs through the property. An outdoor wood stove and hot tub will compliment your desire to relax and unwind. 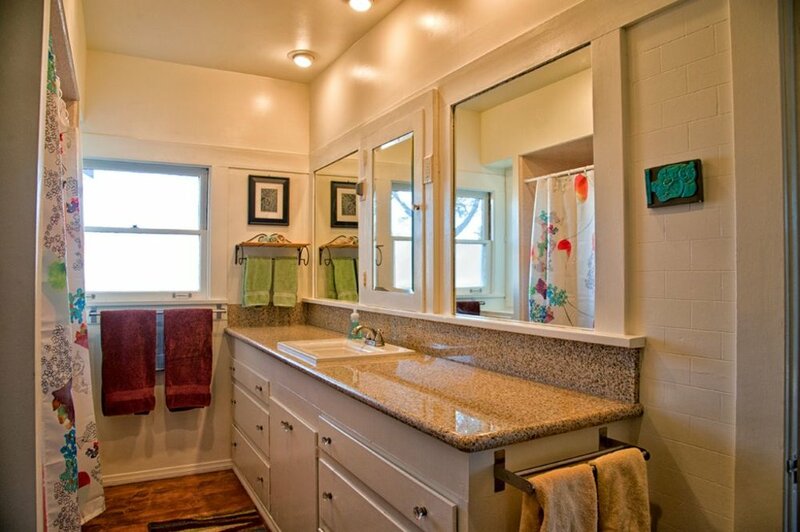 There are three bedrooms and two baths accommodating groups up to six. Each bedroom has direct access to an en-suite or adjoining bathroom for the in ultimate convenience. The home is complete with a flat-screen television that includes Netflix and Amazon accounts. The open dining room allows for wholesome family dinners or the planning of your daily activities. Situated on one full acre adjacent to conservatory land with grazing horses bordering the property. The Farmhouse has a large outdoor space complimented by a mini orchard and seasonal vegetable garden. 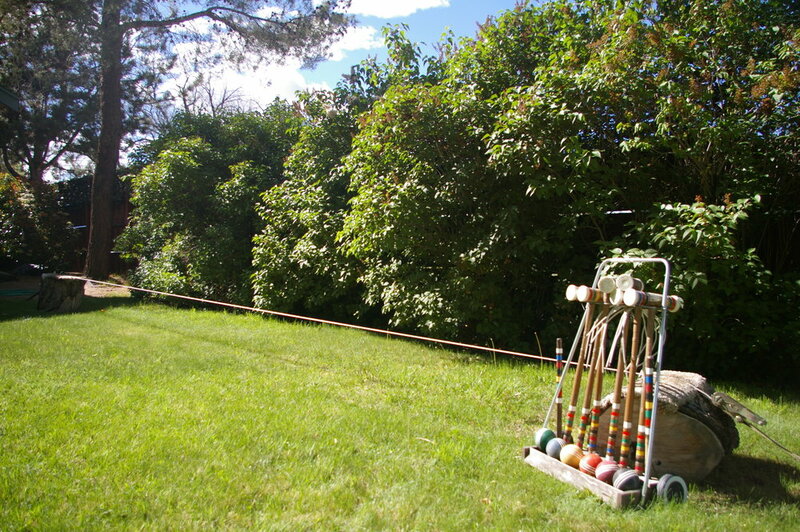 The lawn area is vast and perfect for a game of croquet or honing your slacklining skills. 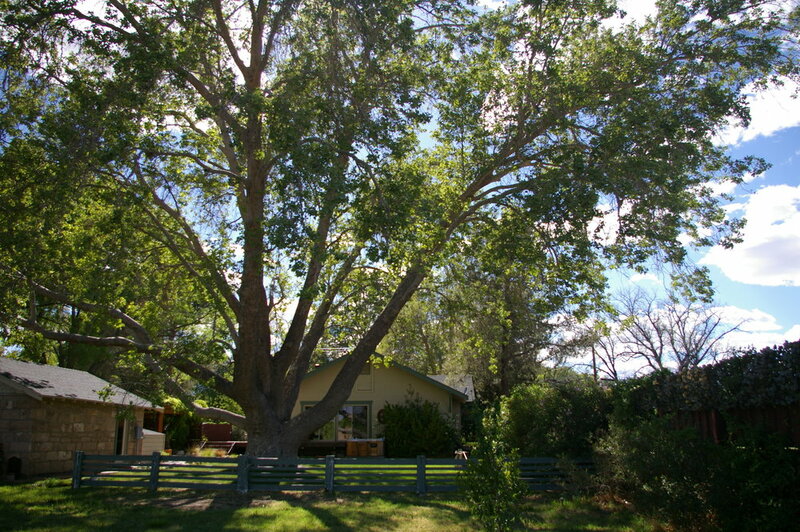 The town of Bishop is less than two square miles yet appeals to endless user groups, visitors, and community members. The eastern Sierra Nevada lends itself to some of the best hiking, rock climbing, and fresh water fishing in the western United States. Bishop is a town rich with tradition featuring local events that include Mule Days, the annual Tri-County Fair, and the very popular American Alpine Club AAC Bishop Highball Craggin’ Classic, plus the Blake Jones Trout Derby. 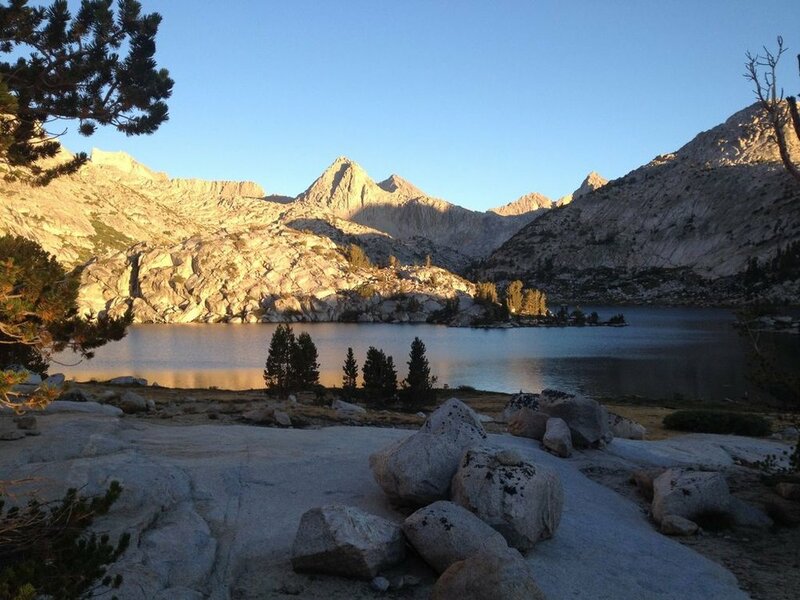 Trailhead access through Bishop gets you to 14,000-foot mountains and the renowned John Muir trail. Neighboring location Mammoth Mountain is a world class resort for skiing and snowboarding. Bishop is also the gateway to Death Valley and Mount Whitney and provides a great starting point for runners, tourists, and hikers. Fun Fact: Bishop is located in Inyo Country, of which only 1.7% is privately held land located along the scenic byway of Highway 395. Bishop is surrounded by public lands and is the perfect base camp location for visitors seeking high-sierra alpine climbing, bouldering in the Buttermilk or Tablelands, or roped climbing the popular Owens River Gorge and Pine Creek areas. Downtown Bishop is very much a walking town with shops, art galleries and eateries to explore. You might even have a chance to take in the latest and greatest blockbuster at the local twin theater! Whatever your vacation wishes, the Farmhouse is ideally suited for hanging out, reading books, rock climbing, snowboarding, fishing, rodeo, or horseback riding. Start your exploration of the majestic surroundings from here. 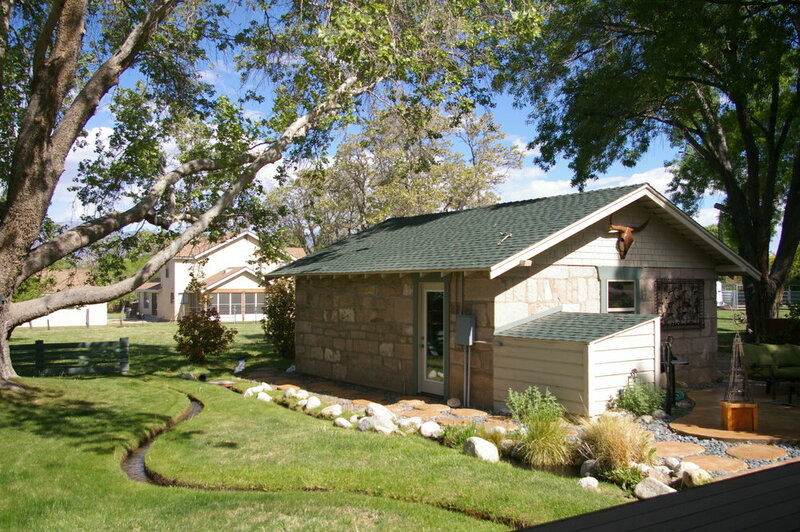 .. delightful craftsman bungalow is a relaxing homebase for your Eastern Sierra adventure! Fantastic property in a lovely setting. Owners are great too. 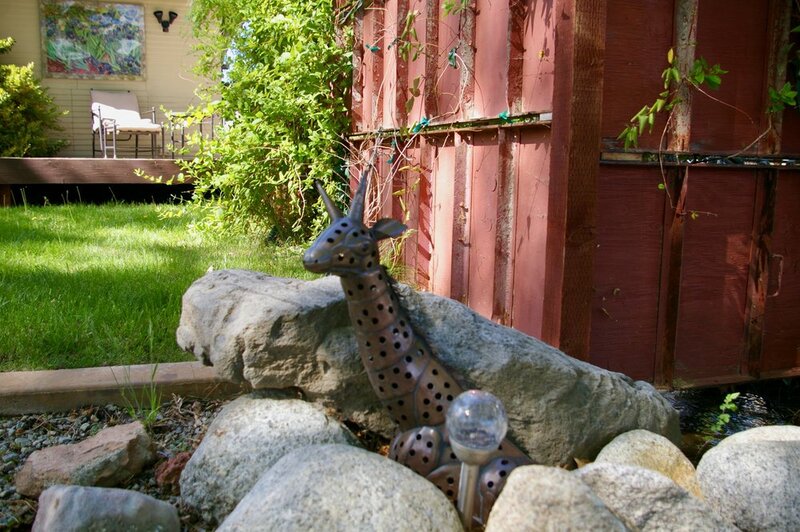 “Three couples had a wonderful relaxing fun stay"
"Amazing place to stay! It was hard to leave. We’ll be back for sure!" 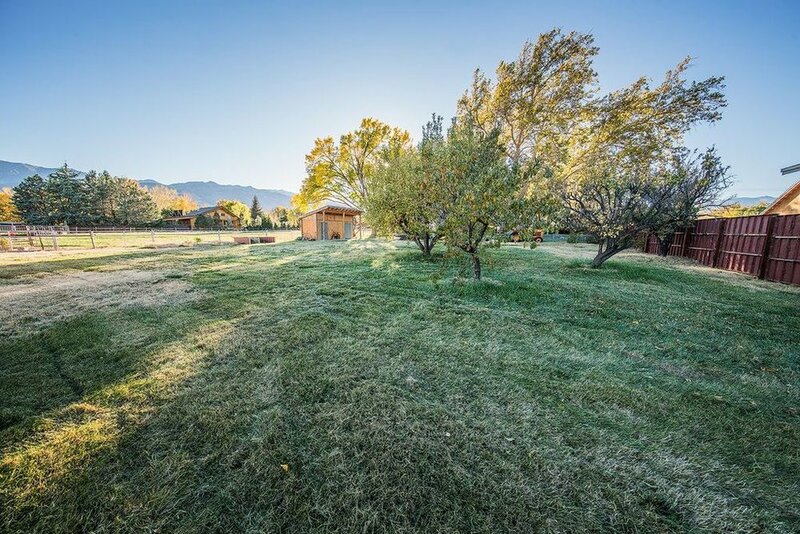 This beautiful old farmhouse in Bishop has it all..
“…beginning with quiet, comfortable porches on three sides with great views of the Sierras, the Whites and farmland and animals grazing. The first thing we saw when we pulled in the driveway was an acre of green grass, old cottonwoods, black-eyed Susans and Queen Anne's lace everywhere. And a stream through the backyard. Even an apricot tree for snacking. The gorgeous inside equalled the outside - craftsman woodwork, hardwood floors, tasteful furnishings, comfy beds, great shower, modern and well-appointed kitchen. Karen and Steve really wanted us to enjoy ourselves!! … too good to be true. “My family and I have stayed in the farm house several times and in all seasons. The house is too good to be true really. Such country charm and very quiet location, well stocked kitchen, comfortable beds, just to name a few. The scenery from all sides of the house is incredible. 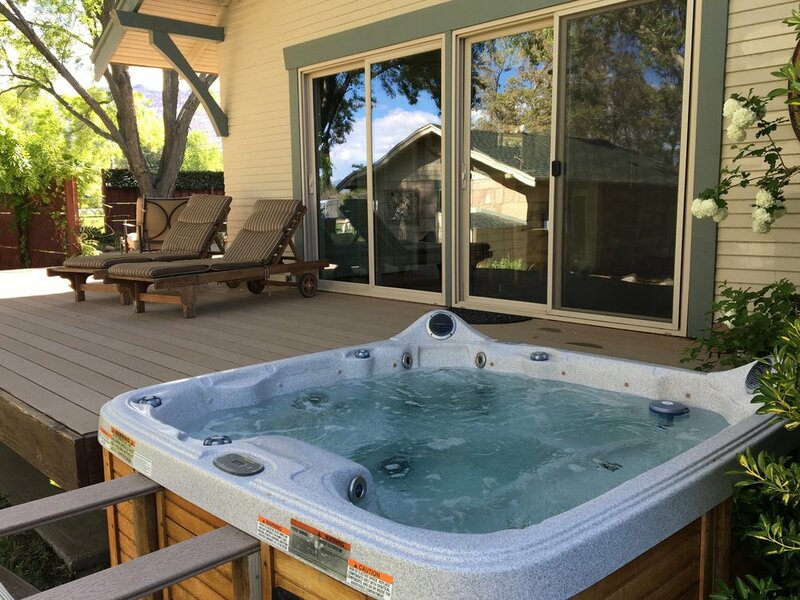 The back yard has a jacuzzi, bbq, outdoor seating and nice deck with a view of white mountain. The town and restaurants are 10 minutes one direction with the sierras and lakes 10 minutes another direction. Karen, the owner, is very accommodating and efficient. Honestly, you will not be disappointed with any part of your stay here. " "We had a wonderful stay at the farm house its way more than i imagined clean and comfortable with old world charm. Everything we needed for our stay. Karen was easy to work with and our stay was great. I would highly recommend this rental.Close to town but yet felt like we were in the country. So very peaceful sitting on the deck watching morning sunrise over the mountains.We have family in town so well be back many more times way better than hotel rooms and well worth the price.This place is the best!" We hope to stay again!! "We really enjoyed our stay at the farmhouse. It was so clean and comfortable; it was perfect for the four us. We ate our meals outside on the beautiful patio and even used the bbq to grill up some steaks one night. Downtown and all the shops and restaurants are close enough for a 10 minute bike ride. We would definitely stay here again!"